9 Months - $29.99 Only 9 left! It sounds like your baby is a rare one—calm, quiet, and easygoing. We heard tales that they have been sleeping through the night since they were born; that they are quiet at restaurants and never even make a mess; that they can diaper themselves (but we don't really believe that last bit). Either way, it sounds like you won the baby lottery. Congrats! Having such a sweet and serene infant must make this whole transition into parenthood a lot more palatable. But wait...are you sure it's a baby you're raising? Let us pose a few questions: 1) Is your baby the CUTEST thing in the world and worthy of watching 24 hours a day? 2) Does your baby show a strong liking to green vegetables, and in particular, bamboo shoots? 3) Is your baby cuddly and slow moving? Aha! That settles it. It's a panda bear you've got there! That explains the calm demeanor and adorable face! 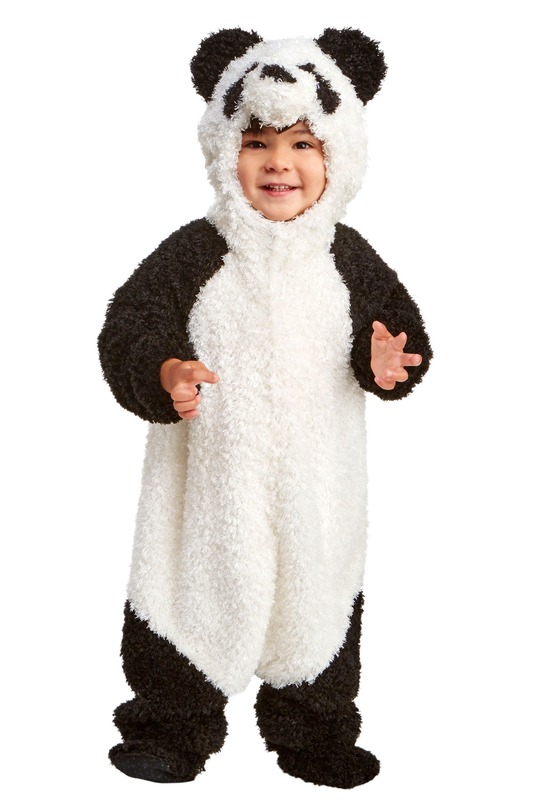 Dress them in this Infant Peaceful Panda Costume and be prepared for a major cute overload! Your baby deserves a Halloween Costume that is a true reflection of their nature. Plus, they are so stinkin' cute wearing this, they will get all the best candy. And of course, you'll need to...ahem...check it all (and pilfer what you want!) as the responsible adult in charge. This costume is as sweet as it is simple. It's comprised of a furry jumpsuit in contrasting black and white tones and iconic panda markings. The hood gives your babe a little panda bear head, and their hands will remain free for holding onto trees and banisters while they wobble through the neighborhood, trick-or-treating. Beware, this costume is known to cause one problem: they cry whenever you try to take it off! Considering that's pretty much the only time you've heard them wailing, we say count your blessings. Also, keeping your kiddo tucked into this adorable suit isn't a tough parenting choice, now is it? I dont recommend buying this costume its not worth the money.